Chobe National Park in Botswana is one of the top wilderness reserves in the world. 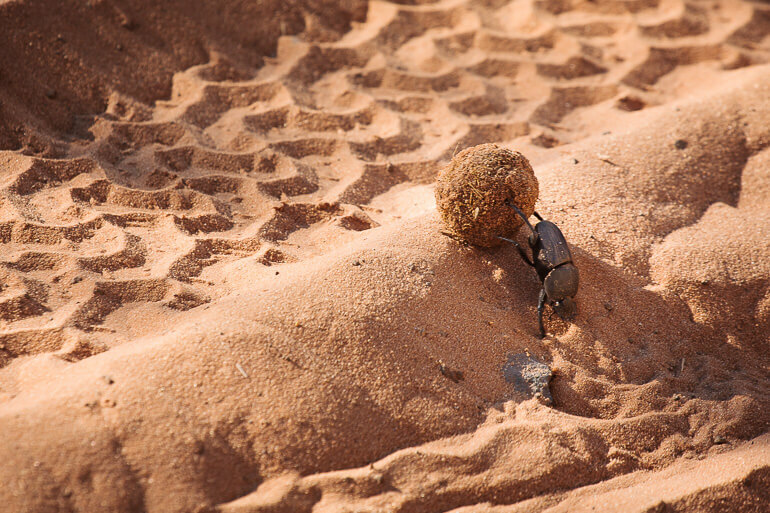 Four ecosystems host the largest diversity of game in Africa. From elephants to zebra and everything in between, it’s easy to see why Chobe National Park is a wildlife enthusiast’s dream. Our day started off in the early morning in Livingstone, Zambia. We had spent the previous day visiting the majestic Victoria Falls. 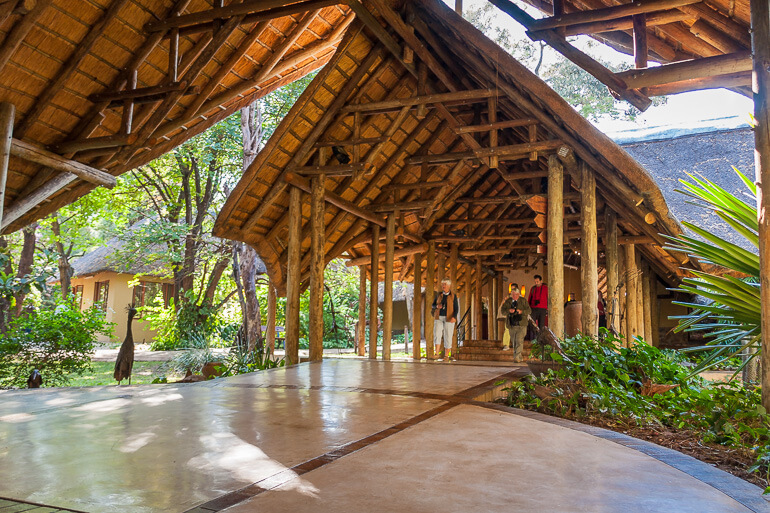 After an overnight stay in Livingstone, we were ready for a safari day trip. We drove to the Kazungula Ferry border crossing. 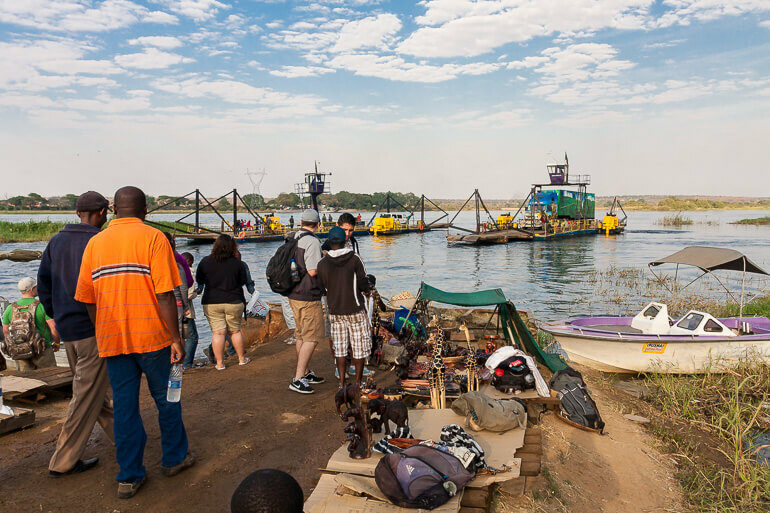 The Kazungula Ferry crosses the Zambizi River at the point where Zambia, Zimbabwe, Botswana, and Namibia intersect. 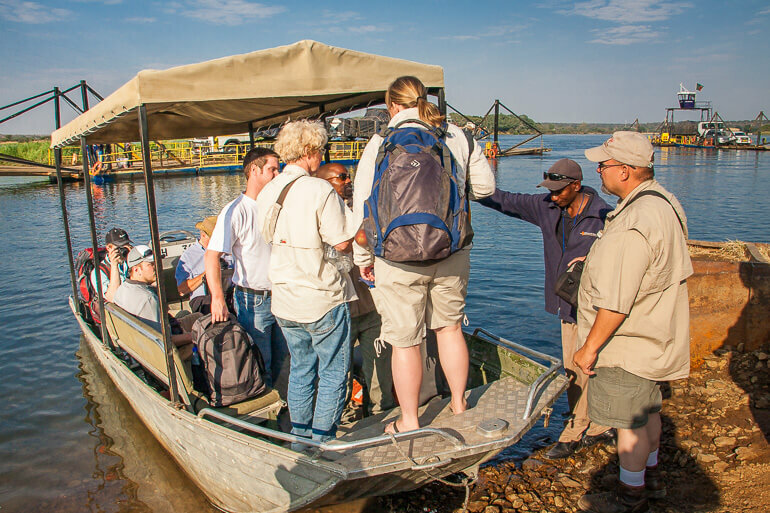 Once we finished the border formalities, we were shuttled across the Zambezi River in a boat. We were met on the Botswana side by our tour company, Chobezi Tours. A few short minutes later, we were arriving at Chobe Safari Lodge in Kasane, the starting point of our safari. 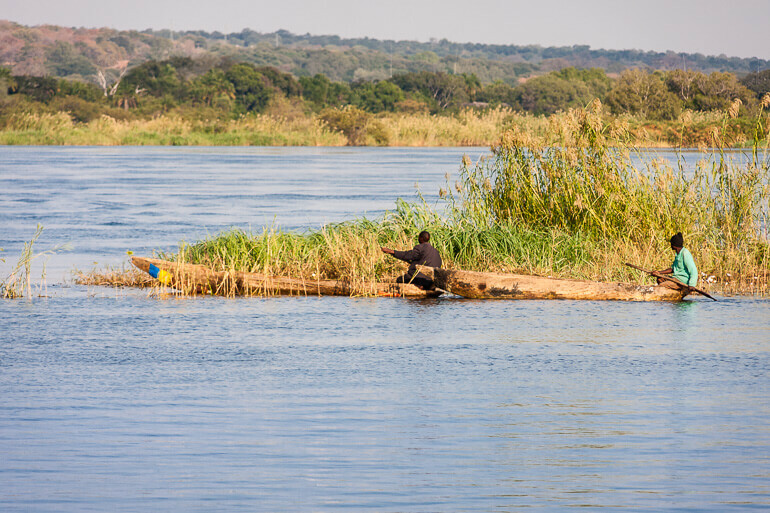 The Chobe River runs along the northern boarder of Chobe National Park. 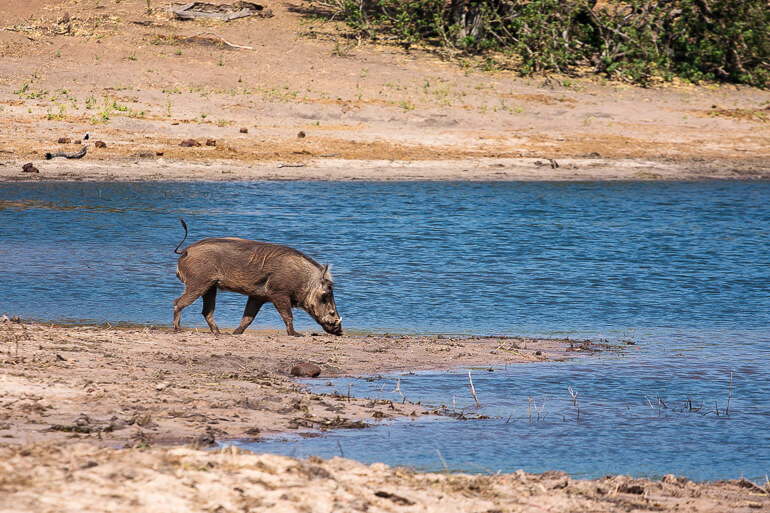 The river is the main watering spot for the animals, especially during the dry season. 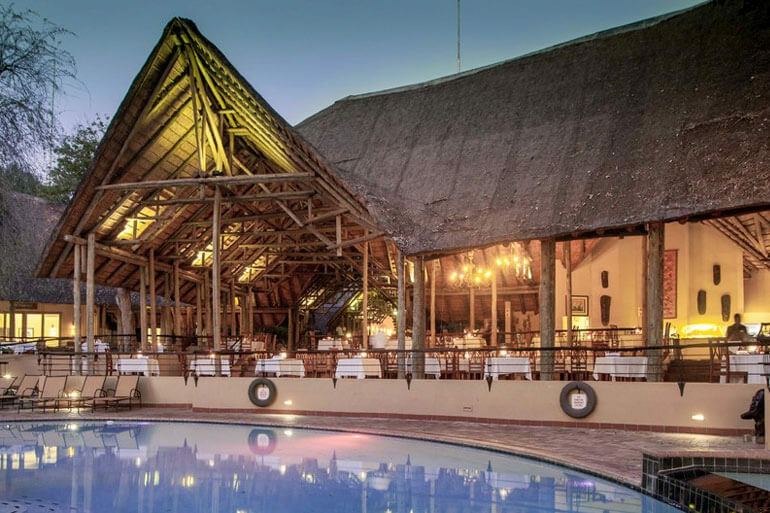 Chobe Safari Lodge lies on the river’s edge and is a great launching spot for a water safari up the Chobe River. 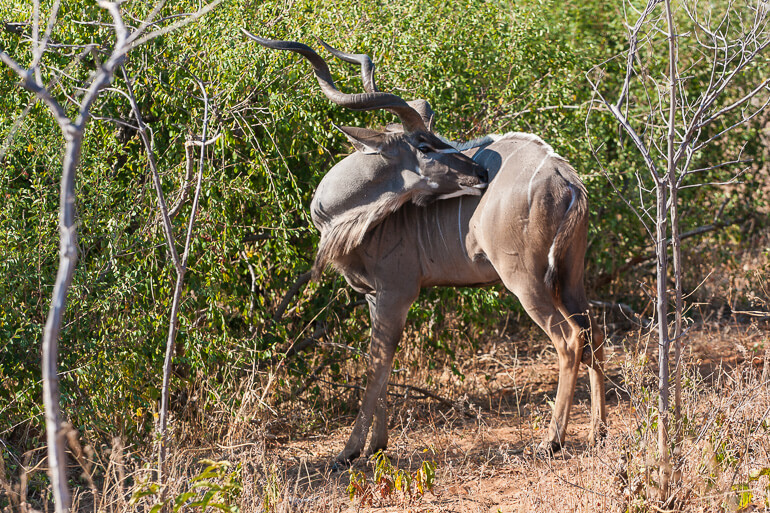 When it comes to land safaris, your best chance to view the animals is during the early mornings and late evenings. This is when the weather is cooler and the animals are more active. But water safaris are great for mid-day excursions when the animals are looking for a place to cool off. We boarded a large, flat-bottom boat – our home for the next several hours. The boat had a shaded main deck with plenty of seating, and an upper observation deck for prime viewing of the wildlife. 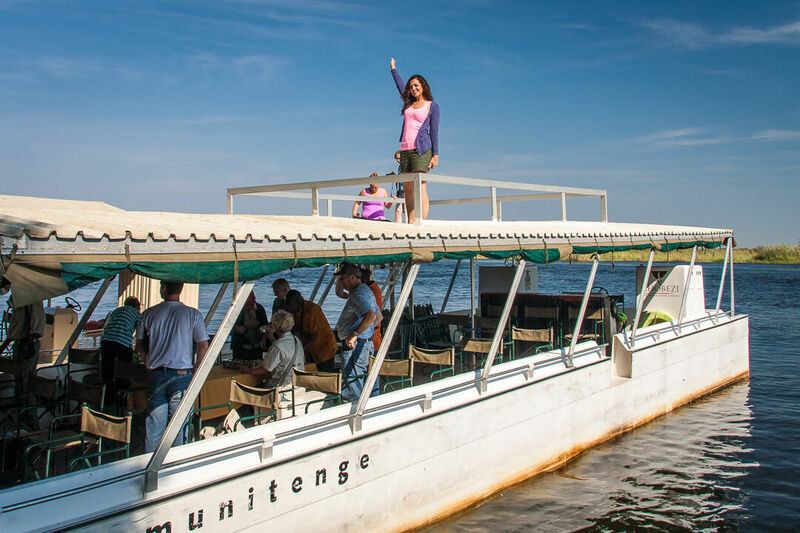 The Chobe River safari does not disappoint. There were animals everywhere! 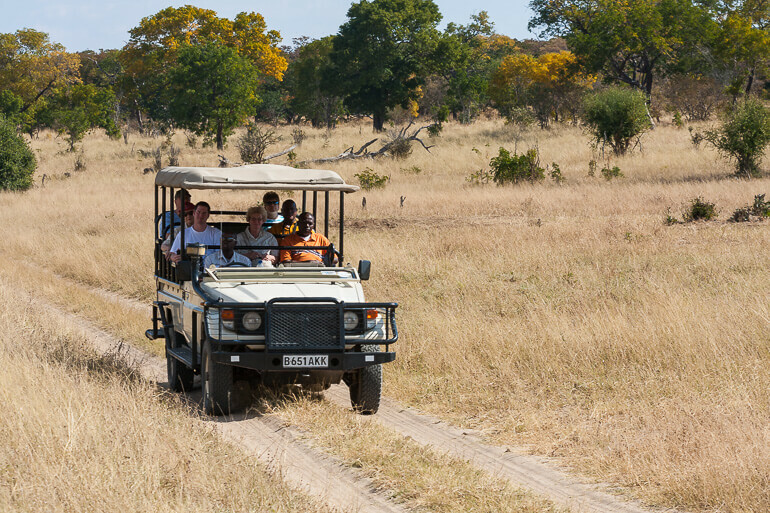 We were able to view pods of hippos, crocodiles, herds of impala, warthogs, birds, and an occasional water buffalo. Chobe National Park is best known for its large herds of Kalahari elephants. In fact, the elephant population in Chobe is said to be the largest in the world (approximately 120,000). And we saw plenty of them! The elephants swim out to shallow islands in the middle of the river to bathe and play. 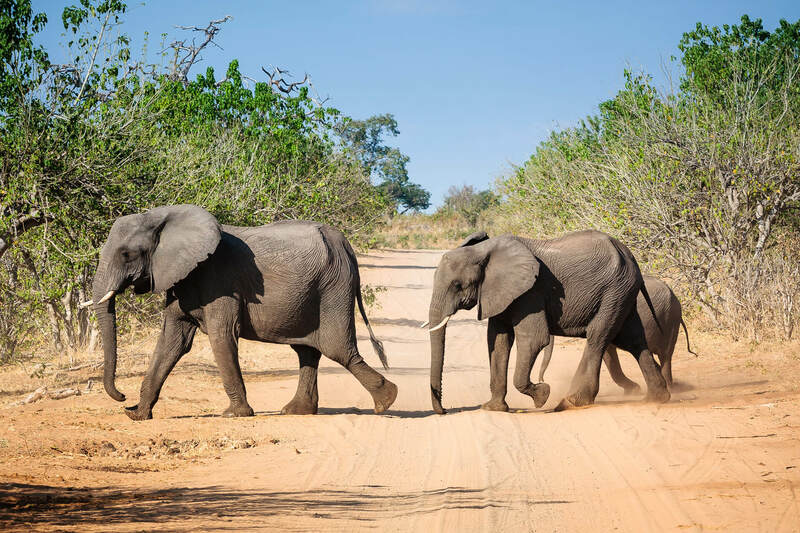 Chobe National Park boasts the largest elephant population in the world: around 100,000. 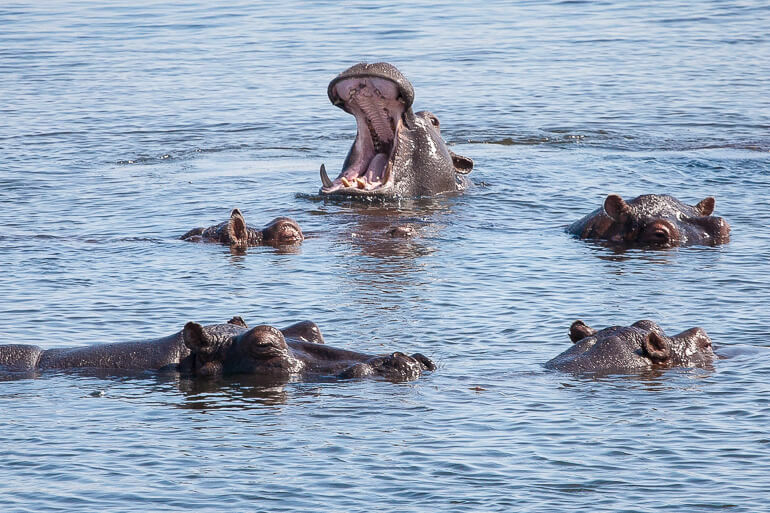 These impressive herds can be witnessed on an interpretive game drive or from the vantage point of a boat floating down the Chobe River. One of the benefits of the flat-bottom boat is that it can get close to the banks of the river. This gives you an up close view of the animals on the banks of the river. 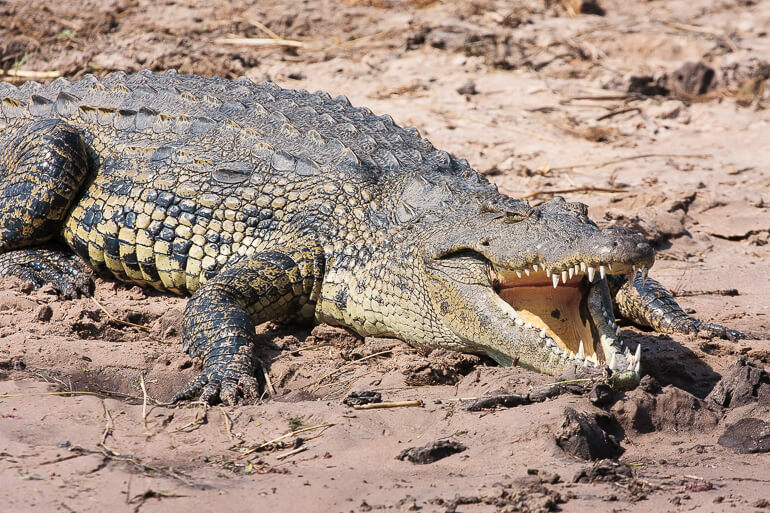 The flat bottom also allows the boat navigate shallow areas to sidle up alongside feeding hippos or resting crocodiles. After three hours of animal watching, we returned to the Chobe Safari Lodge for a delicious buffet lunch. Chobe National Park is huge! 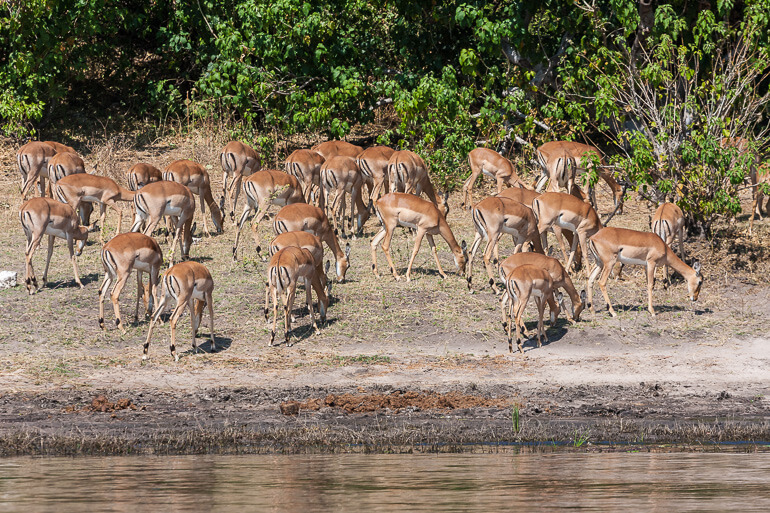 Chobe covers almost 4,250 square miles (11,000 square kilometers) – a vast landscape waiting to be explored. Our land safari covered only a small part near the northeast border of the park. We were transported through the park in 9-passenger jeeps with open sides and shaded tops. The jeeps are driven by knowledgable and friendly guides. Aside from the two jeeps in our company, we only saw one other group during our 3-hour tour. 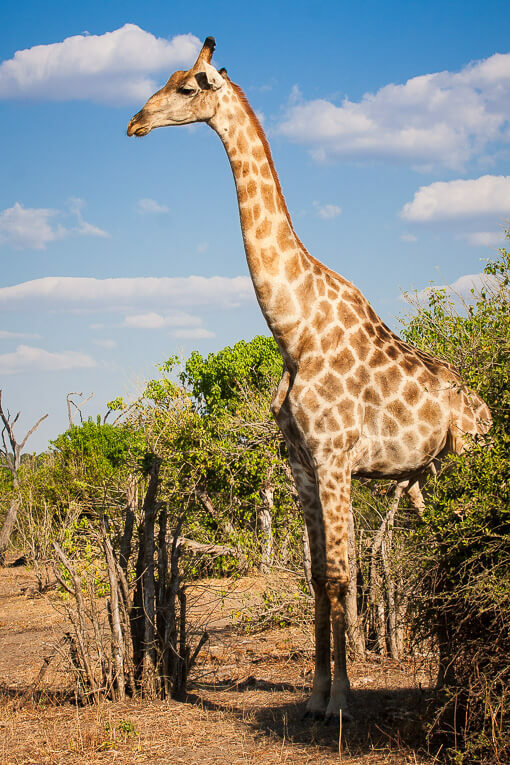 The land safari provides up-close views of giraffes, baboons, herds of antelope, lions, and a wide diversity of bird life. And like the water safari, there were plenty of elephants also on land. If you happen to safari in Chobe during the months of June to the end of November, you’ll be treated to herds of zebra who concentrate along the Chobe River. By the beginning of December when the rain starts, the herds will migrate to the open interior of Botswana. The zebra herds won’t return to the river areas until late May or early July. Unfortunately for us, our water safari was scheduled earlier in the day, so we didn’t start our land safari until mid-afternoon. This is the time when the heat is most intense, so the animals are less active. Many of the big game animals like lions and water buffalo were resting in the shade. I wish we had scheduled the land safari first and the water safari later in the day. We booked our safari with Chobezi Expeditions through our hotel, Fawlty Towers (yes, like the television show) in Livingston, Zambia. A day expedition to Chobe National Park cost us $156 per person. Entrance to Chobe was included in the cost (normally around $7). Chobezi picked us up from the hotel, transported us across the border, and returned us to our hotel after the safari. We entered Botswana after spending more than a week in Zambia. We purchased a return-visit visa in Zambia ($80 per person) instead of the the single-entry visa ($50) because we returned to our hotel in Livingston, Zambia afterward. Botswana does not require an entry visa for over 100 countries. Check out the Botswana embassy website see if your country is exempt. For a more comprehensive excursion, check out the variety of African tours available on TourRadar. Many of the tours throughout southern Africa include Chobe National Park and other fascinating sites.